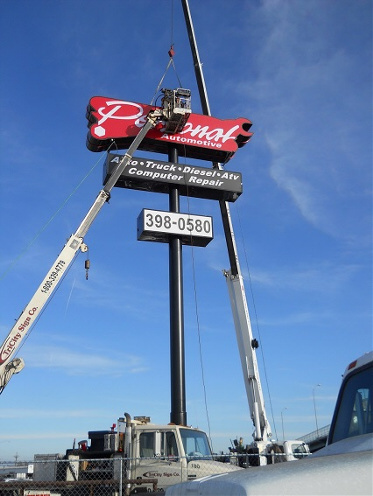 Installation: Tri City Sign has the equipment and expertise to install your sign or signs. 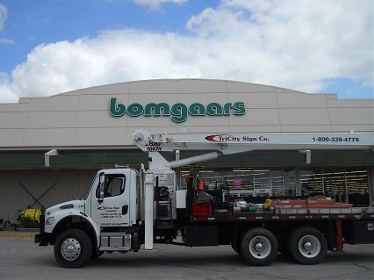 We have three Crane Trucks including a 110 ft, a 100 ft, and one 57 ft. We can install everything from 2'-0" Channel Letters to 100 ft High-Rise Pylon Signs. 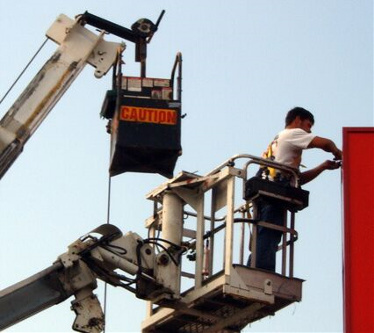 We also help with making sure your sign meets city regulations and obtaining permits. 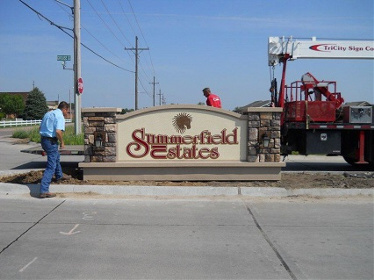 Service: Tri-City Sign Company specializes in sign installations and service of all types. 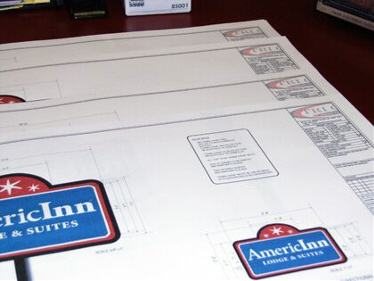 We can also provide sign surveys. 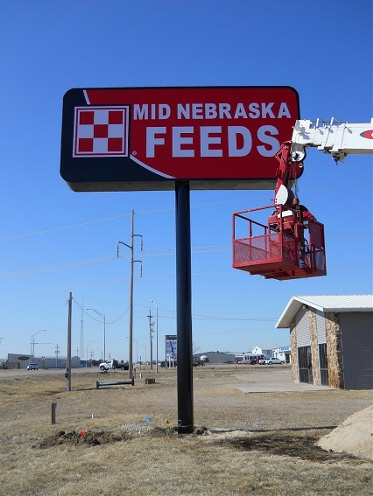 We are a major manufacturer of signage for various businesses nationwide and we install signs throughout the Midwest. 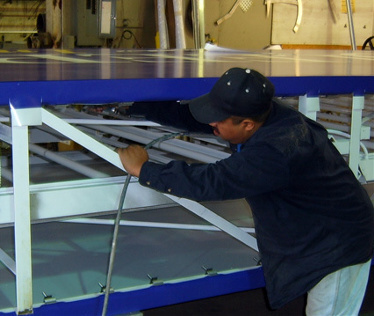 We will co-ordinate turnkey installations nationwide. 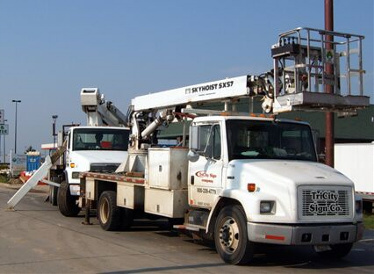 Industry Experience: over 50 years of sales and manufacturing experience within the ownership. 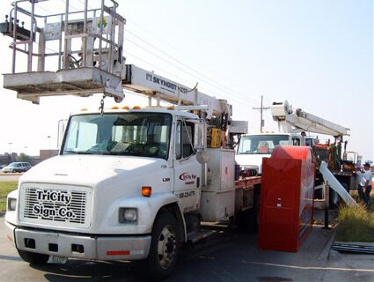 Experience in construction related trades. 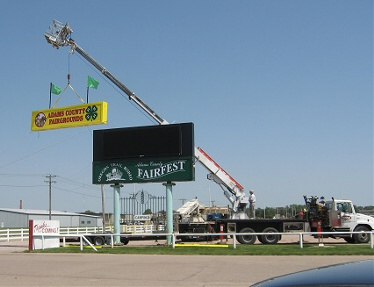 Please feel free to visit our website at www.tricitysign.com or call 800-339-4779. 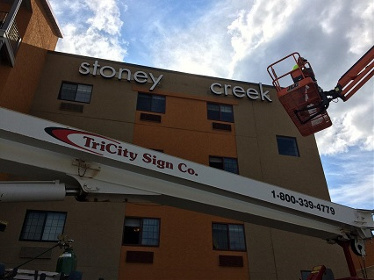 Tri City Sign now offers this technology for all Channel Letters. 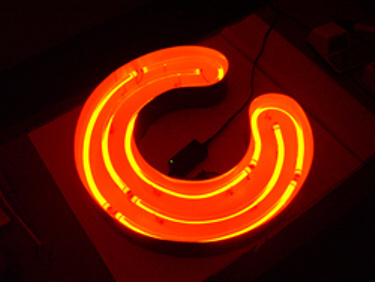 Light Emitting Diodes (LED) are compound semiconductor devices that convert electricity to light when biased in the forward direction. LED technology has changed the lighting landscape as we know it.